Did you know that the first half of the lent is already over? Less than 20 days for Easter! Let’s continue to ready our hearts, minds, and souls for Jesus. Today I want to talk about something we very easily want to forget or, at least, downplay its importance in a life of a Christian. But the Bible does not want us to forget. If we want to mature in our faith, we need to be done with every trace of wickedness. The Word of God wants us to keep on growing to full maturity. 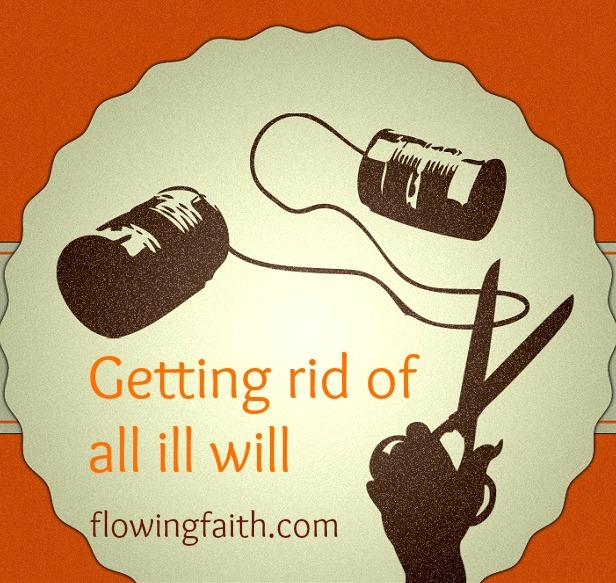 Getting rid of all ill will is part of growing in faith. Have you made a clean sweep of malice and pretense, envy and hurtful talk? Have you gotten rid of gossip, bad-mouthing, and all deceit and insincerity? Ouch! I know. Getting rid of all ill will is something we all need to work on. I challenge you to start fasting on all deceit, hypocrisy, jealousy, and all unkind speech! Let’s do it! Because we have tasted that the Lord is good. Because this enables us to keep on growing to full maturity. Because when we give up something bad, we will receive something good. How to go about it? Prayerfully, of course. If we want to be done with every trace of wickedness in our lives, it happens by fully surrendering to Jesus. Any growing to full maturity happens by God’s grace. But it is possible. We need to earnestly desire to drink God’s pure goodness and we will have it overflowing. If we ask for help in getting rid of all ill will, we can be sure we will receive more than enough grace for it. But how to approach it practically? Whenever you catch yourself talking or even just thinking unkindly, repent. Avoid situations where you are tempted to gossip. Remember it’s better to be silent than hurt with words. Give any and every ugly thought to Jesus. Get rid of all ill behavior. Fill in your mind with all the good things. Growing to full maturity requires we cut off the bad and bring in the good. It might sound daunting but it is possible by God’s grace. Soon you realize people don’t even try to tell you gossip. You become so involved with compelling and gracious things that you don’t have time for any ill will. And as you are getting rid of all ill will and growing into full maturity, you learn to fully trust God making everything work together for the ones who love God. Nothing better than that. We are so sorry for nursing ill will and evil thoughts. Forgive us for gossiping and using words for wickedness. Cleanse us from all unrighteousness, Lord. Pour our grace upon grace. Nurture us with spiritual milk. Fill us with your grace and all the good things. Enable us to grow into full maturity. Q4U: Have you struggled with any form of wickedness? What did help you? Be blessed, my fellow pilgrim, as you’re getting rid of all ill will! 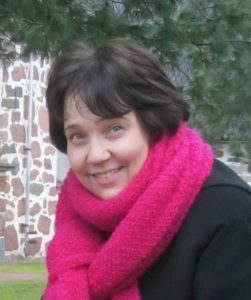 Image courtesy of Jeff Brown, design Mari-Anna Stålnacke. This post is refurbished from 2010. Linking up today with Sharing His Beauty, Hear it on Sunday, use it on Monday, Playdates with God, and counting blessings with Ann Voskamp: #1102 Growing into full maturity happens by grace. #1103 Leaving ill will behind clears way for Jesus. I always appreciate if you help sharing the blog posts with your friends & followers. So that everyone might know the love of God, receive the grace of Christ, and live in the presence of the Holy Spirit! Thank you! Be blessed now and forever!